Review: A well researched and insightful analysis of four 19th century Princes who pursued naval careers: Prince Alfred of the United Kingdom (2nd son of Queen Victoria and Prince Albert), Prince Heinrich of Germany (younger brother of Kaiser Wilhelm II), Prince Waldemar of Denmark (youngest son of King Christian IX) and Prince George of Greece (nephew of Prince Waldemar). These princes increased the popularity of their respective royal houses in the 19th century, became part of the celebrity culture of the era, cemented relationships between European and Asian royal houses, set precedents for the education of future royalty, and helped to connect global empires and communities. Schneider draws upon a broad range of sources and perspectives, revealing how complicated the lives and public images of these figures could be as they struggled to reconcile their identities as sailors and as princes. An essential book for anyone interested in 19th century European monarchies and their significance in a global context. Review: A beautifully illustrated short biography of King Christian IX and Queen Louise, whose royal descendants include Queen Elizabeth II and Prince Philip, Duke of Edinburgh. Christian came to the throne amidst complicated circumstances that are well explained in the book. A series of constitutional reforms, international treaties and contingencies within the royal families of Denmark, Russia and various German states allowed the fourth son of a minor Danish prince, and the daughter of Danish king’s sister to become King and Queen of Denmark. The transformation of Christian IX from a contested monarch unpopular because of military defeats and German connections in his extended family to the beloved father of the nation and father-in-law of Europe is also well developed. I would have been interested to learn more about the family gatherings in Denmark when the British, Russian, Danish and Greek royal houses came together for long summer holidays. The author notes that “In fact we know nothing of what was talked about over cigars after dinner and it would have been odd if major European political issues had not been mentioned…” The illustrations are excellent and include photographs, portraits, a floral painting by Queen Louise, and the interiors of royal residences that demonstrate the couple’s personal asthetic and the design trends of the 19th century. Review: King Frederik VIII is a rare example of a past reigning monarch who is less well known today than his younger siblings. His sisters Queen Alexandra of the United Kingdom (consort of King Edward VII), Empress Marie of Russia (consort of Czar Alexander III) and King George I of Greece (grandfather of Prince Philip) are all more famous as historical figures. This short biography explains that there was far more to “The Eternal Crown Prince” than his brief time as King between the long reigns of his father Christian IX and son Christian X. Frederik had a key diplomatic role during his father’s reign, striking up an unlikely friendship with Crown Prince Frederick of Germany, and he devoted much of his time to charitable endeavours. His long incognito walks and ability to engage with people from all walks of life was sometimes criticized as “too folksy” for a future King of Denmark. As the only child of King Charles XV of Sweden, Lovisa was a well known public figure in her own right and she became an accomplished amateur artist and intellectual. Both Frederik and Lovisa had a complicated relationship with Frederik’s more famous siblings and spent limited time at royal extended family gatherings instead carving out their own immediate family sphere. The book is beautifully illustrated with royal portraits and photographs as well as examples of Lovisa’s paintings and calligraphy. Review: A fascinating and beautifuly illustrated short biography of King Christian X, famous for his daily rides around Copenhagen during the Second World War German occupation of Denmark. The book does an excellent job of describing Christian X’s complicated personality. He was strongly influenced by his grandfather Christian IX and the strict upbringing that he received from his parents King Frederick VIII and Lovisa of Sweden. His military service also shaped his perspective on kingship. 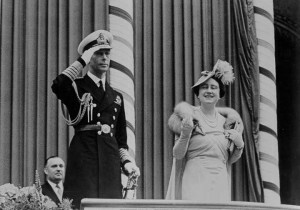 I would have been interested to read more about Queen Alexandrine, whose quieter character was overshadowed by that of her husband, as well as Denmark’s experience during the First and Second World Wars. The First World War is summarized especially quickly. The illustrations are lovely, especially a 1940 photograph of the elderly Christian X with his granddaughter, the future Queen Margarete II. Review: A short biography of Queen Margarete II of Denmark’s parents, King Frederik IX and Queen Ingrid and their impact on the Danish monarchy. While previous Danish monarchs experienced some difficulties setting the right tone for their court, the author explains that Frederik and Ingrid mastered “formal informality” creating a balance between royal tradition and accessibility. Royal banquets were renamed parties and live music and buffets were added to previously dull palace occasions. Both Frederick and Ingrid were interesting people in their own right: Frederick was a trained symphony conductor who made recordings for charity and Ingrid was a keen sportswoman and trendsetter throughout her long life, even popularizing mobility devices for the elderly during her last years. In common with the other books in the Crown series, this book is beautifully illustrated, including numerous photographs of the royal couple and their three daughters. Review: A short history of Danish coronations, and, since the mid-nineteeth century, accession proclamations. The book includes full descriptions of Denmark’s royal regalia and crown jewels. There are colourful illustrations that emphasize the intricate details of these pieces. The Danish royal regalia is on permanent display at Rosenborg Castle in Copenhagen and is now rarely used at official events except for the state funerals of monarchs. The Crown Jewels are worn by Queen Margarete II on certain official occasions including royal weddings and the annual New Year’s banquet. There is one notable piece not discussed in the book. The collection at Rosenborg Castle includes the world’s oldest surviving Order of the Garter and while this piece is not strictly part of the crown jewels or royal regalia, it would have been an interesting item to photograph and describe for this volume. Power, Splendour, and Diamonds is a valuable overview of the Danish Regalia and Crown Jewels and a great souvenir of Rosenborg Castle. 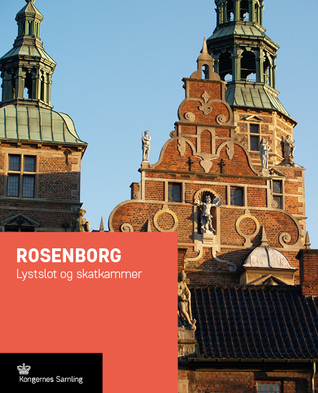 Review: A beautifully illustrated guide to Rosenborg Castle. Visiting the castle can be an overwhelming experience as the royal apartments are filled with portraits and beautiful objects. The book places the rooms and their treasures within the context of Danish history from the reign of Christian IV to the development of Denmark’s constitution. The illustrations include details that visitors to the museum are likely to overlook including hidden speaking tubes in the walls for the royal residents to order food and drink from the palace kitchens. The decorative objects provide examples of changing trends in art patronage and collecting during the centuries that the Rosenborg was a working royal residence. The provenance of key works of art in the Castle and the careers of little known court artists and intellectuals are well explained in the guidebook but I would have liked to have read a little more information about certain royal portraits and sculptures in the rooms. A fascinating and informative read. My review of Crowns and Colonies: European Monarchies and Overseas Empires , edited by Robert Aldrich and Cindy McCreery has been published in the December 2017 issue of the Royal Studies Journal. 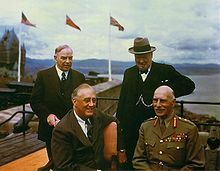 The Earl of Athlone (seated right) with the Allied leaders at the Quebec Conferences. My new article in the Canadian Encyclopedia is about Alexander Cambridge, Earl of Athlone, Governor General of Canada from 1940 to 1946. Athlone served as Governor General during the Second World War and hosted the Québec Conferences at La Citadelle in 1943 and 1944, where Canadian Prime Minister William Lyon Mackenzie King, British Prime Minister Winston Churchill and American President Franklin Roosevelt met to decide Allied strategy for victory over Germany and Japan. A maternal uncle of King George VI, Athlone was the last close relative of the monarch to serve as Governor General of Canada. My latest article in the Historica Canada Canadian Encyclopedia is about the Marquess of Lorne, Governor General of Canada from 1878 to 1883. 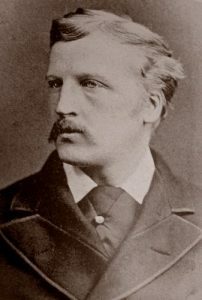 As Governor General, Lorne founded the Royal Canadian Academy of Arts and the National Gallery of Canada and undertook extensive tours of western Canada, proposing the names Alberta and Lake Louise in honour of his wife, Princess Louise Caroline Alberta. Lorne’s patronage of Canadian artists set precedents for future Governors General and his books promoted Canadian landscapes, culture and history to a wide international audience. Click here to read my article on John Douglas Sutherland Campbell, Marquess of Lorne in the Canadian Encyclopedia. I have also written articles about the Marquess of Lorne’s wife, Princess Louise and mother-in-law, Queen Victoria in the Canadian Encyclopedia. “Historian Carolyn Harris, who has just released her third book, Raising Royalty: 1,000 Years of Royal Parenting, said the monarchy retained tight links with Canada throughout both world wars, from 1914-18 and from 1939-45. “Prince Rupert of the Rhine, first governor of the Hudson’s Bay Company, had a profound effect on Canada’s history. 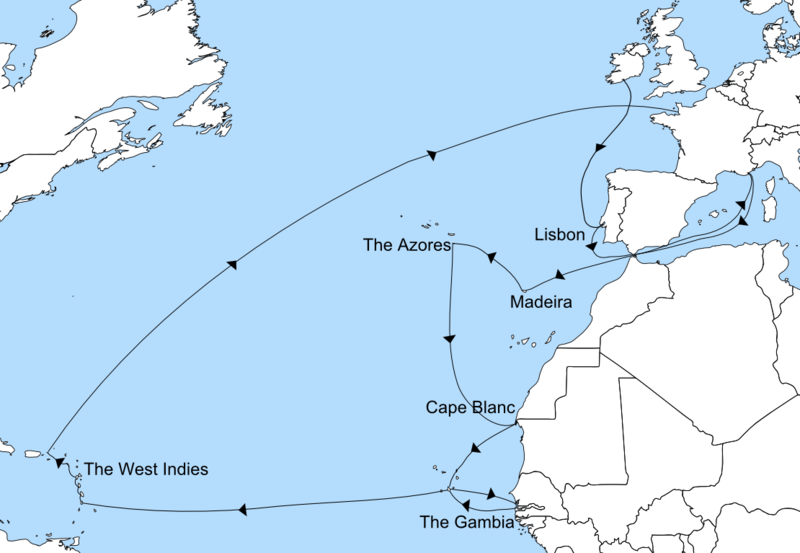 Following his flight from Prague as an infant, he spent his life constantly on the move, undertaking military service in continental Europe and Great Britain and leading the royalist navy to the west coast of Africa and the Caribbean. 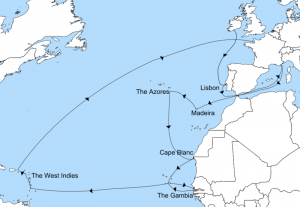 Rupert’s travels enabled him to recognize the significance of Radisson’s and Des Groseilliers’ discoveries and to envision an enterprise with the vast scope of the Hudson’s Bay Company. Moreover, the grant of Rupert’s Land to the company discouraged the Americans from expanding northward after the Thirteen Colonies declared their independence in the late eighteenth century. 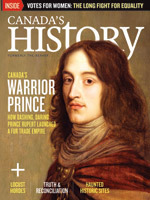 Click here to read “Canada’s Warrior Prince” on the Canada’s History Magazine Website. November 2, 2016, Magna Carta and the Making of the Modern World, Aurora Cultural Centre, Aurora. Click here to view a selection of lectures about my book, Magna Carta and Its Gifts to Canada: Democracy, Law, and Human Rights . 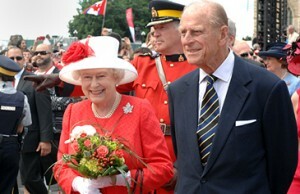 My column in today’s Globe and Mail discusses royal children and royal tours. 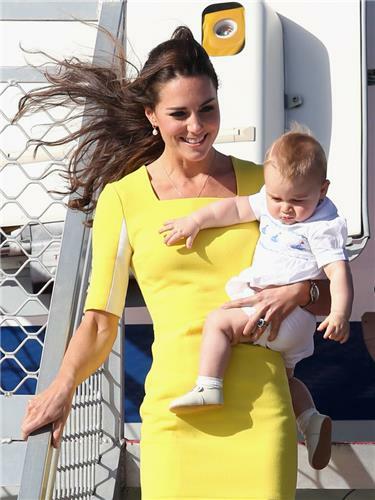 “Royal children on tour influence popular perceptions of the monarchy in two ways. First, they create a personal bond between royal parents and the public – parenting provides common ground between royalty and people of all backgrounds. I will be giving a talk about The Future of the Monarchy and the Global Commonwealth for Later Life Learning in Kingston, Ontario on September 16, 2016 at 10am. The talk will be followed by a sale and signing of my book, Magna Carta and Its Gifts to Canada.